Old mobile operating systems don’t die, they just go to live life on TV. LG bought WebOS, the woebegone former operating system that ran Palm devices, in a quiet transaction in 2012. LG picked up WebOS for a song from Hewlett-Packard, which had spent $1.2 billion to buy the operating system in 2010. A little less than a year after LG picked up WebOS, the Korean gadget maker’s efforts have finally borne fruit. 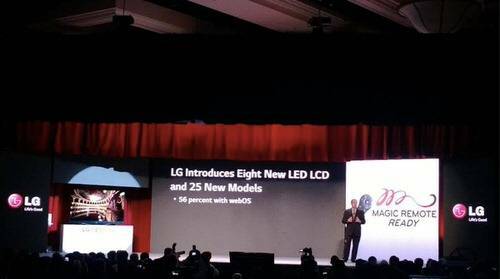 The results are a group of smart televisions from LG that run on WebOS announced Monday at the 2014 Consumer Electronics Show in Las Vegas. This is no small effort, it’s not like LG is throwing WebOS into a test device to tease consumers with a small sample of smart televisions running WebOS. In fact, 56% of LG’s LED LCD HD televisions will be using WebOS as the driver of a smarter television experience. The strength of WebOS was always that it was one of the simpler and more intuitive operating systems. But in the age of smartphones and tablets,the major problem with WebOS was that it was too simple and not really sophisticated when compared to Android and iOS. Palm did not really have the resources to compete with the likes of Google and Apple (and many Palm engineers went to Apple to work on the first iterations of the iPhone and iOS) and it ultimately folded and sold out to HP. Yet HP was a poor steward of WebOS which it open sourced and tangentially promoted, releasing one tablet—the HP TouchPad—that did not sell well until HP reduced the price for a fire sale. Work on WebOS languished and eventually was sold off as spare parts to LG. This initial failure may ultimately prove to be the best thing that could have happened to WebOS LG has proven its commitment to using the operating system in a majority of its HD televisions along with all of its new line of 4K Ultra HD televisions. 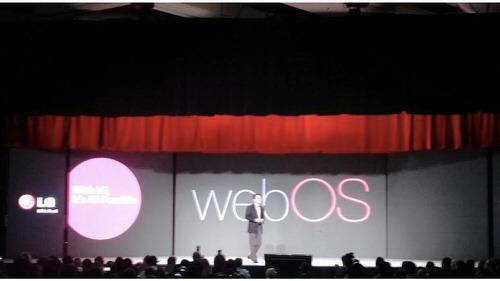 LG believes it can make Web-related television browsing and content, discovery, services and channel switching incredibly simple with WebOS of at least that is the company’s story at CES 2014. The thing about LG though is that it is an incredibly stubborn company. When it comes to its core products, LG will be happy to push WebOS down consumers’ throats until it can call it a success. So, WebOS will have legs for the next several years at the very least and could become one of the primary standards for smart televisions for the rest of the decade and beyond. It’s been a strange trip for one of the first mobile operating systems that began at Palm, but living a life as some of the smartest televisions on the planet is not a bad end for WebOS. Google may ultimately be the loser here. Google has been pushing Android to the smart television front for years now and it has just lost LG—one of the most prominent television manufacturers in the world—as a key partner. Android has proven its ability to move to just about any device category from wearables to set top boxes to video game systems, but it has never really caught on in the television world. The big TV makers like LG and Samsung have their own proprietary systems and will push forward with them, marginalizing Android on large screens to a variety of smaller manufacturing partners.